The Federal Reserve Open Market Committee (OMC) wrapped up a two-day meeting in Washington Wednesday by announcing that it was not raising interest rates. But that wasn’t the real news. In a press conference after the meeting, Fed Chairman Jerome Powell took pains to signal to the markets that the Fed would not aggressively raise interest rates. Instead, he said the agency would wait to see what direction the economy was taking. That was music to Wall Street’s ears, and the Dow Jones Industrial Average soared more than 400 points. Just six weeks earlier, the Fed had spooked markets with language suggesting that it was intent on “normalizing” interest rates -- held at zero for nearly a decade -- no matter what. But in comments following the Fed meeting, Powell signaled a significant reversal. He used the word “patient” eight times as he said policymakers would closely watch the economy before taking action. The Fed’s federal funds rate remains between 2.25 percent and 2.50 percent. Hardly anyone expected the rate to go higher at this month’s meeting, though the Fed is on record as suggesting that it could raise rates at least two times in 2019. Now, many analysts think that’s off the table. Wednesday’s comments from the Fed chairman did indeed suggest the OMC was on a less rigid course. Powell said policymakers would closely watch economic indicators before making any moves. 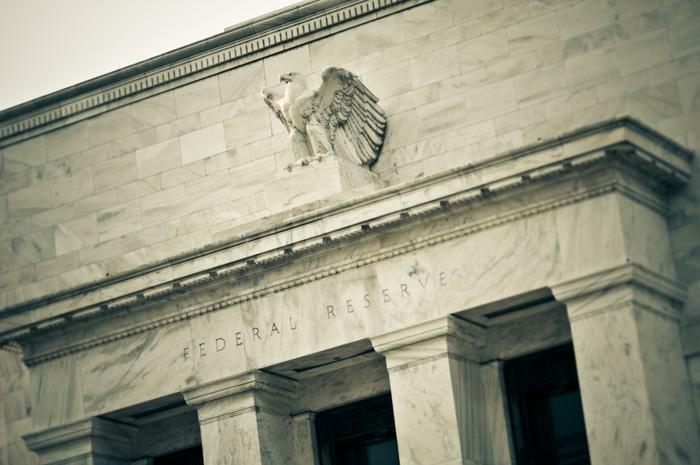 What’s changed since the Fed’s December meeting? Quite a bit. Fourth-quarter earnings reports from major corporations have mostly disappointed, and first quarter guidance has been lower than expected. Whether it’s the impact of the trade war or a cyclical slowdown, U.S. companies appear to be retreating from the rapid growth pace they experienced in the first half of 2018. "In light of global economic and financial developments and muted inflation pressures, the Committee will be patient as it determines what future adjustments to the target range for the federal funds rate may be appropriate to support these outcomes," the OMC said in a statement. If the Fed puts rate hikes on hold for the first half of 2019, which many analysts now think is almost certain, it will be good news for consumers carrying large credit card balances. Credit card interest rates are based on the Fed’s federal funds rate, so every time the rate goes up, credit card interest rates also go up. The federal funds rate is also tied to most revolving lines of credit, including home equity lines and auto loans. While a break from interest rate hikes is welcome news, it could signal trouble in the U.S. economy. The OMC changed its language describing economic growth from “strong” to “solid” and noted that inflation doesn’t appear to be the threat it was a few months earlier.